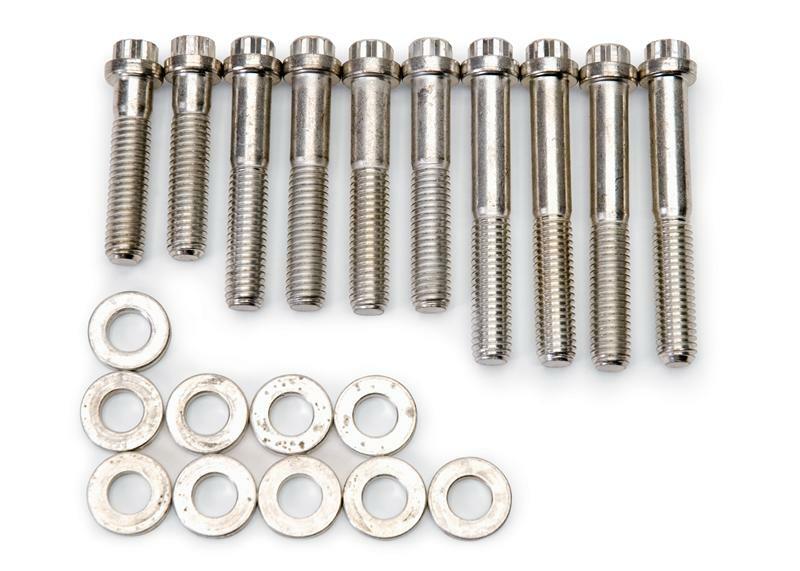 Designed specifically for Edelbrock manifolds, these bolt kits feature reduced hex heads for easy wrench access. 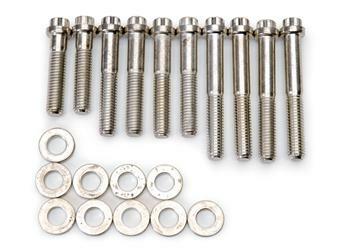 Features include cadmium finished steel bolt and hardened washers. We have packaged all the necessary components to replace your stock iron intake manifold. These kits include an Edelbrock aluminum intake manifold, intake gasket set, carburetor base gasket, RTV sealant, intake bolts and carburetor studs for an all-in-one-box installation for your street rod or muscle car. Get better performance from a simple manifold replacement kit. The High-Flo runners work with the High-Flo baseplate and either stock or ported stock baseplates. Match with aftermarket heads and high-performance cams. Compatible with stock fittings and emissions related features. No changes to the stock computer required.